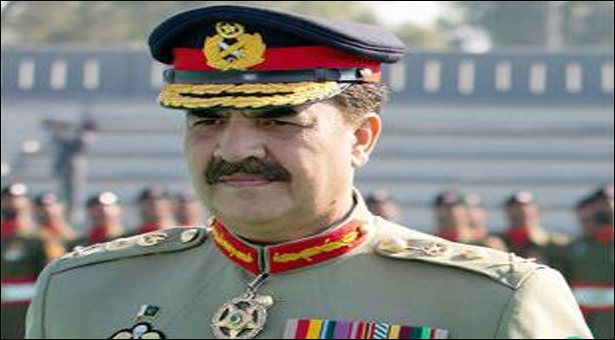 ISLAMABAD: Chief of Army Staff (COAS) General Raheel Sharif on Monday left for China on an official visit. “General Raheel Sharif is visiting China at the invitation of Chinese defence authorities,” a spokesman for the Inter-Services Public Relations (ISPR) said. It is General Sharif’s first ever visit to China since he assumed the command of the country’s military last year. During his visit, General Sharif will call on China’s political and military leadership. “The interaction during meetings will encompass Pak-China relations with particular emphasis on defence and security cooperation,” the spokesman said. Pakistan and China enjoy close military and defence ties and both countries have recently conducted joint military and air exercises. Owing to the diversifying military scenario of the region, this visit is being considered of a significant nature, during which new defence pacts are expected to be signed between the two allies.